I am so, so excited to announce that my sweater, Hillcrest, was selected by the judges as one of the two winners for Challenge #2 of The Fiber Factor! Mad props to my co-winner Tracy Purtscher, whose “Boxes ‘n Boxes” sweater will forever be the Megan Draper sweater to me, thanks to the judges. As one of the winners, the pattern for Hillcrest will be published at some point in the near-ish future. 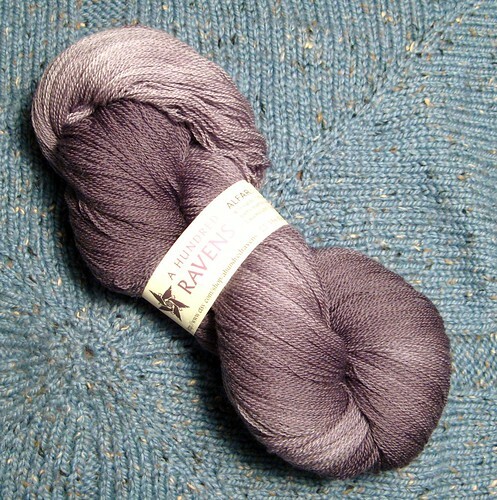 If you’d like a PM when that happens, please comment on the pattern page on Ravelry. I’ve really enjoyed competing on the Fiber Factor thus far — new challenge starts Monday! Thanks to Skacel and all the judges for their kind words! Photos of our Challenge #2 “Color Inside the Box” projects are up at The Fiber Factor! Each sweater (or sweaters, in one case) was/were photographed on a real live model, from four different angles. Hooray! I think my piece was photographed well. “Hillcrest” is the fourth row down from the top. Is it ok to admit that I have a favorite? I love John’s linen-stitch asymmetric voluminous sleeveless pullover. Hey everyone!! 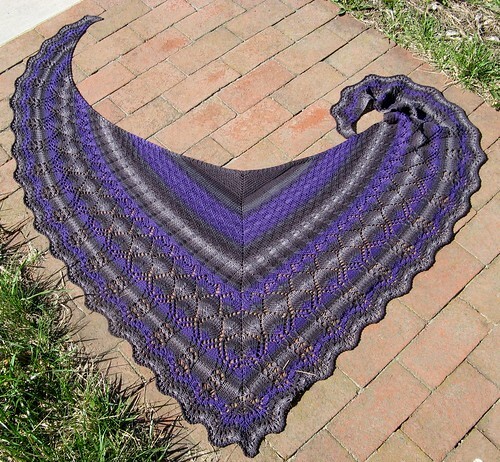 My shawl Evolution is available as a FREE download from The Fiber Factor. I will be hosting a KAL in the Remily Knits forum — let’s make the official start date June 24th, so people have time to get their yarn together and clear some WIPs off their needles. 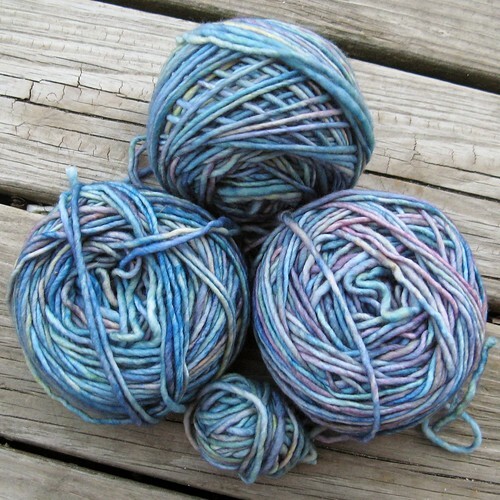 You are, of course, welcome to use any yarn your like — but if you haven’t tried it, please consider Unisono. It’s fantastically sproingy and comes in beautiful solid colors (as well as the self-striping, which I chose for the design). 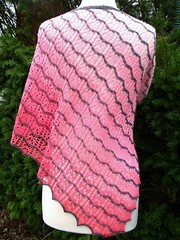 The pattern is currently published with CHARTS ONLY, with the right-hand side of the shawl shown — the left-hand side is mirrored. However, I’ve been given the go-ahead to write out directions for all the charts. I’ll be working on this over the next week or so — I’ll get them done as quickly as I can. The written translations of all charts will be made available through an updated download from The Fiber Factor, as soon as they are complete and have been proofed. For more details and to officially “sign in” — go see the forum! My “in progress” video is up at The Fiber Factor! I filmed outside two different Frank Lloyd Wright homes up in Manchester, NH. Many thanks to Donna, Jen, and Jen’s daughter Emily for their help, patience, and support — I find talking to the camera daunting, but they made it a lot easier. Em read questions to me off camera — she was awesome! I’m done with my project for Challenge #2 of The Fiber Factor! I still have to film the video for judging, and mail the sweater off … but for all practical purposes I’m done. So, time to catch up on some neglected projects, right?? Wrong. Time to cast on three new projects, yay! For what it’s worth, I also pared down my Ravelry queue and went through my stash and put a LOT of things up for sale — see something you like? PM me on Ravelry! #1 — My very own Oswin, using A Hundred Ravens Alfar. Oswin is a crochet project. No, really! #2 — I’m using Malabrigo Mecha in Arapey to make Hester’s Hope, a shawl from the latest “What Would Madame DeFarge Knit?” book. 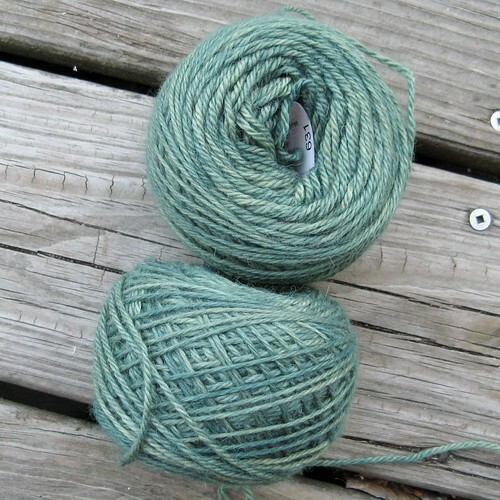 #3 — After a false start with a too-colorful yarn, I settled on The Fibre Company’s Road to China Light in Malachite for Sivia Harding’s new cowl pattern, Lorelei. It’s been just over a week since we “Swatchers” received our yarn for Challenge #2. I chose Simplicity, in seven different colors. My main color is gunmetal grey, to act as a background canvas for some extreme intarsia colorwork, using garter stitch and slipped stitches to achieve the look of a stained glass window. I was inspired by Frank Lloyd Wright’s amazing stained glass windows, that incorporate natural themes while still being very mathematically appealing. Some friends and I drove up to Manchester to tour the Zimmerman house, a FLW home that is almost 100% preserved as he designed it. Only 12 people may tour at a time, and you have to buy tickets in advance. Once on site we wore booties while in the home, and were instructed to TOUCH NOTHING. We were literally walking through a work of art – what an amazing building! I’m not sure I could do as the Zimmerman’s did, and live for decades as part of this work of art … but I surely admire them. 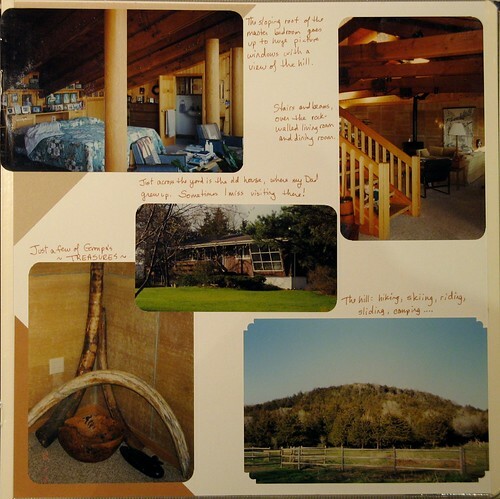 Many aspects of the home reminded me of the house my Grandpa Bob built, by hand, out of local limestone in Cannon Falls, MN. 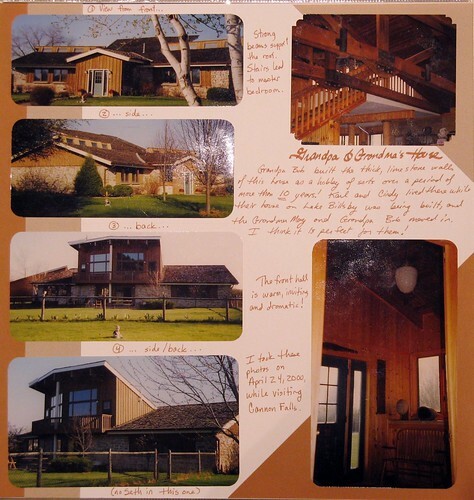 The local materials, the wide-open living spaces, and the blurring of inside and outside … here are some photos I took in 2000, when we visited when my oldest son was a baby.